As 3D specialists we always have a wish list of information we like to work from. The ultimate goal is to obtain as much detailed information from our client which ultimately leads to a more efficient workflow our end and less feedback/comments their end. However, sometimes receiving our wish list is not always feasible and with the prospect of losing a project, we tend to work with what we have. This project was no exception. 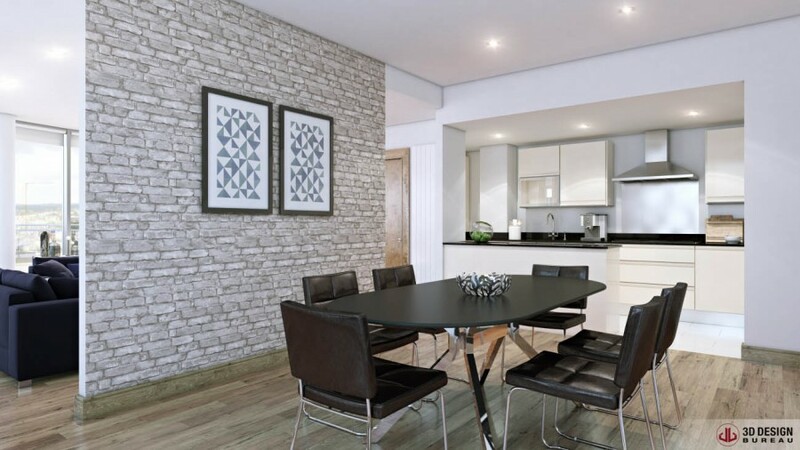 Following the production of multiple interior CGI’s of a residential development for a different client, we were approached by their interior designer, HGPS, to do the same on a new project of their own. They were amazed at how we had translated their mood board so accurately into the CGI’s and because of this they wanted to use our service for one of their largest clients. 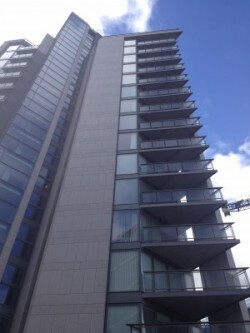 But with only one PDF plan of both apartments available to us we had our work cut out. 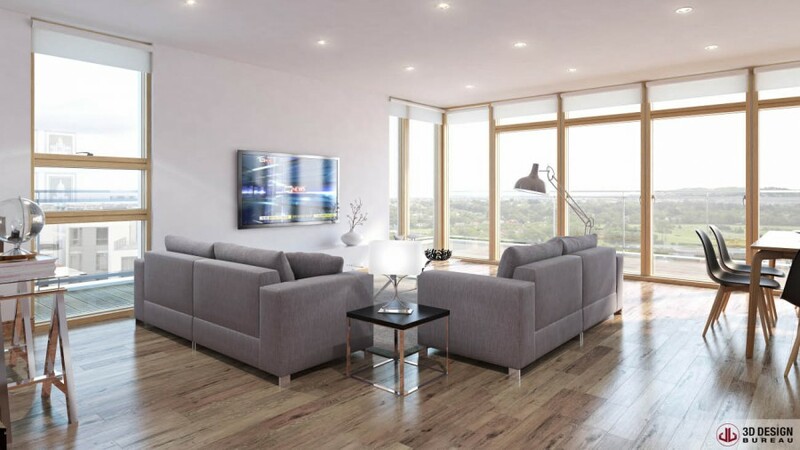 Pure and simple: to produce four detailed and photo-realistic interior CGI’s of two penthouse apartments within an existing high rise apartment development. 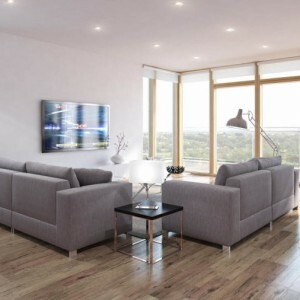 The only information available at the time was a 2D floor plan PDF along with a detailed mood board for the interior design (furniture, soft furnishings and colour schemes). The time-frame was one week and the images were required for presentation purposes to the main client. 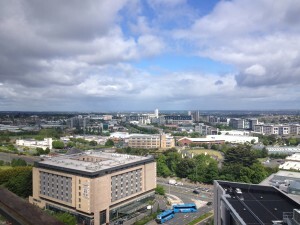 The ultimate goal for our client was to obtain instruction to proceed with the fit out based on their proposed design. 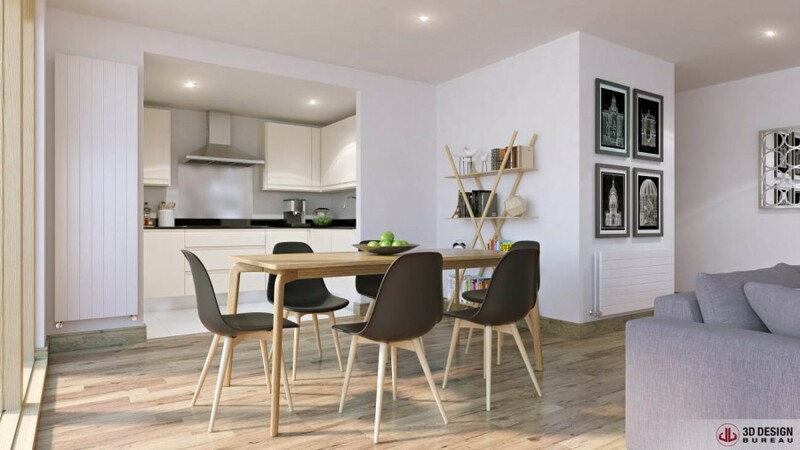 The requested CGI’s were commissioned to fast track this decision as our client’s normal approach of using a mood board and floor plan were not going to cut it for this project due to the layout and design of the apartments. 3D modelling of each proposed penthouse was carried out in a fluid sequence despite the minimal information supplied. With only one 2D PDF floor plan and a mood-board, we managed to produce high end accurate and photorealistic 3D visuals for each apartment. Step one of this process was to import the 2D PDF plan into Revit for the 3D modelling phase. There were no sections or elevations available making this stage of the process slightly more challenging. Whilst not an impossible task by any means, it is more time-consuming when working with only a single PDF document. The deadline for this project was very tight, thus a strict project schedule was crucial from the very beginning. The detailed mood board from the Interior Designer definitely streamlined our work-flow by minimizing any interior design guess work on our part. They had an exact vision that we needed to translate. We were supplied with extensive details of all colour schemes, furniture and soft furnishings which all contributed to a more efficient workflow. What was very interesting was our client had indicated that they were looking for a New York style loft feel in one of the apartments. 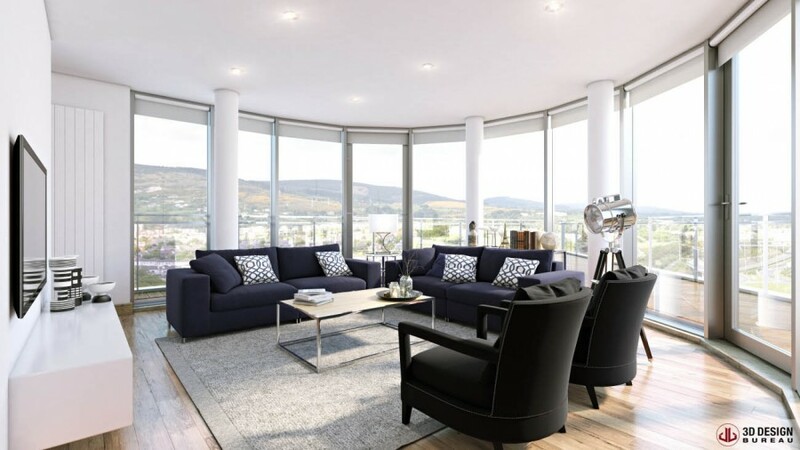 So it was paramount that the functional and aesthetic aspect of the furniture fitted with the overall theme of this living space in particular. This type of instruction provides us with a clear direction to follow and by drawing on 15 years’ experience and technical expertise we were able to accurately illustrate their proposed design. One of the challenges that arose in the project was the furniture. Because we couldn’t match certain, more bespoke pieces to our library, they had to be modelled. 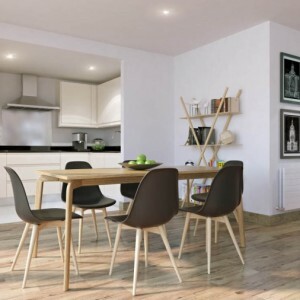 Items such as the console, coffee and kitchen tables along with the kitchen cabinets needed to be modelled from scratch. All items were 3D modelled from reference photographs. Architectural details such as the windows, doors, skirting boards etc. were also modelled from reference photographs. The overall feel and mood of each shot was very important. A subtle, but key element, of achieving this was the background imagery outside of the interior space. 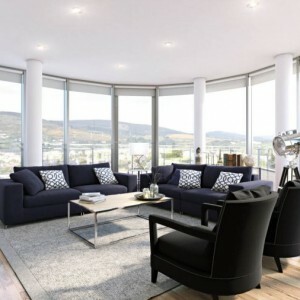 High resolution photography of the actual views were used in each model in order to accurately represent what can be seen from each penthouse. 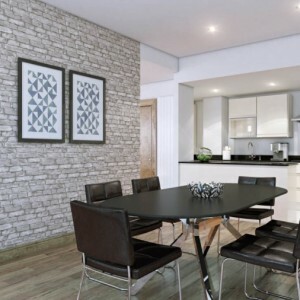 A huge level of work went into this project and credit must go to our architectural visualisation team who managed to deliver with such limited information.